provides the chance to delve into the artist’s sound and personality. I love getting inside a song and discovering where it came from and where it might lead. In the case of Sharon Lazibyrd; the music she provides has been recognised by some big radio names and celebrated by many. I will look at the title offering from her recent album in a bit but, before then, I wanted to address a few things. I will look at that D.J./big names side and why kudos like that can give confidence to an artist; extremes of music and how you can get such a range of sounds and possibilities; Sharon Lazibyrd and how she can bulk and expand her social media; Folk and the striking power of the voice; a bit about evocative sounds that bring you close to the world and make you think hard; local names building a platform and splicing that together with cooler festivals. That is quite a selection of subjects so, when returning to my point about Lazibyrd and being recognised by some big names; it is not a surprise to see why. A lot of the artists that come my way have been highlighted by D.J.s or fellow musicians – that is one of the reasons I get involved with them. In the case of Sharon Lazibyrd’s music; she has had the likes of Chris Hawkins and Georgie Rogers adding their praise – two BBC Radio 6 Music stalwarts who certainly know what they are talking about! Not that a nod from BBC Radio 6 Music is like getting licked by God: what I mean to say is (the station) is a credible and much-respected avenue that only plays the very finest music – that may be a subjective conclusion but there is no shortage of fantastic music on the station! I am a big fan of both those names and, for the past few years, have been seeking out musicians based on their recommendations. It can be hard getting praise and recognition with so many other artists out there. Whilst I contend the most talented and able will get their rewards and recognition; sometimes, people do get overlooked and you have to work extra-hard to find them. 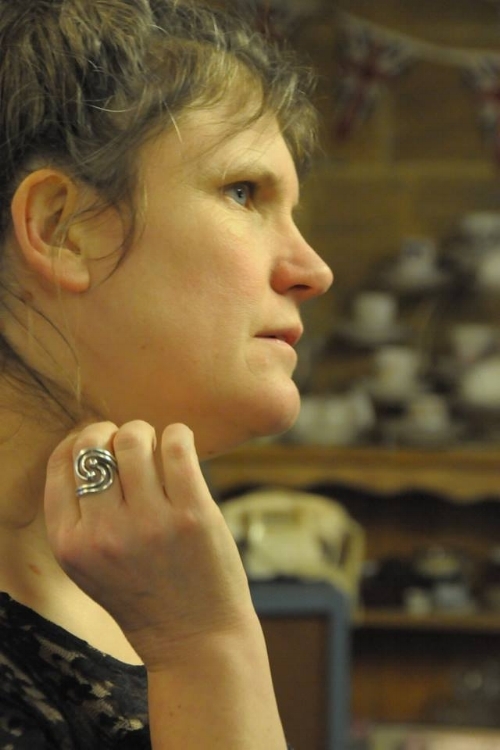 In the case of my featured artist; she has worked solidly and with a committed heart for years. Rather than succumb to T.V. talent shows or craft something commercial and cheap; she has produced music that resonates inside her own heart and feels natural. THAT is a reason why these big radio names have taken her to their hearts and expounded some kind words. Not that she can sell her house and retire on the strength of those acclaimed quotes but there is every reason to suggest Sharon Lazibyrd will continue to grow and become a fixture on a station like BBC Radio 6 Music very soon. With her album, Half Shame and Half Glory, out; I predict songs (from it) will get spins and accrue some more heady praise. The songwriter has also played a session for Bob Harris – on his BBC Radio 2 show – and has reached a whole new audience. It is amazing to think how far she has come and the sort of people who have gravitated towards her music. The industry is so competitive and packed that every nod and bit of great feedback should be seen as a great thing. I know the fans’ love is just as important but, if you can get radio industry figures listening and backing your music; that can lead to some fantastic things and put you on the radar. I am sure Sharon Lazibyrd will continue to build on that foundation and reach new ears. The fact the likes of Harris, Rogers and Hawkins, among many others, have put their thumbs-up to her cause is deeply impressive. I listen to her music and realise there is an extreme and vast landscape out there waiting to be discovered. I listen to an album like Half Shame and Half Glory and can see why so many people have raved about it. 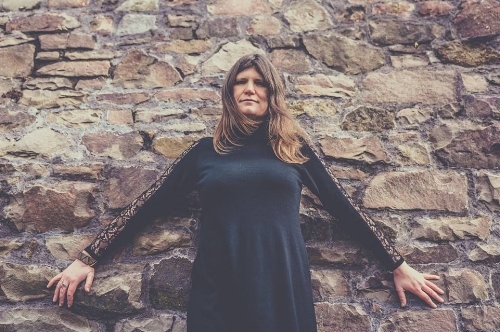 There is that Folk sound but, knowing how strong Lazibyrd’s voice is; you get that isolated shiver and that endlessly fascinating instrument comes to the fore. There are artists out there who mix their voice in with the music and do not feel it is strong enough to capture the imagination. The opposite is true here: we get that vocal high in the mix, summoning some serious emotions and making the listener buckle. I have been listening to a lot of harder, raw sounds recently and neglecting genres like Folk. Not that this is a sign of things to come. For the past few years, I have been featuring some of the genre’s best new artists and immersing myself in everything (the genre) has to offer. Now, with Sharon Lazibyrd, I get to look at another angle and why brilliant songwriters like her should be heralded. It is the poles and extremes of the music industry that keeps me hooked. I have been diving into great Punk bands and Rock artists; looking at the brilliant new work by Kamasi Washington and digging what is happening in the world of Pop – expanding and growing from what we consider the genre to be all about. So much colour is bursting and the industry is showcasing some seriously amazing talent. If you look at the softer, more engrossing sounds coming from singer-songwriters in Folk; you are being given a different sensation and brilliant impressions. It is still a genre that does not get its full esteem and, if you consider Sharon Lazibyrd to be Folk/Singer-Songwriter; you cannot deny she is a perfect example of why we need to shine a light on her fellow artists. I have been following her work for a while and can see her fanbase building. I wonder why we choose to concentrate on what is deemed ‘popular’ by the media and overlook certain sides of music. That is not to say Lazibyrd has been lacking: her music has reached some big ears and spread around the world. I feel there is a general ignorance of some music because, wrongly, people feel it lacks weight and aplomb. Maybe it comes back to that issue of ‘cool’ and whether we see music as fashionable or not. I am part of a group of people who opens their mind and embraces everything the business has to offer. Music is at its strongest when we all succumb to its breadth and allow every note to sink in. If we close our minds and alienated genres then we deny ourselves the opportunity to become better educated and discover brilliant artists. I love how I can investigate a big Brighton band one week and then feature a Somerset-based musician the next – someone who differs entirely and creates very different music. I am very committed to exposing every brilliant artist out there and bringing as many genres as possible to the fore. Before I move onto the next subject; I want to look at why music like Sharon Lazibyrd’s should be augmented and studied. She seems quite modest and ordinary on paper but, when you listen to the songs unfold, you realise here is an artist that has serious clout and nuance. I am sure, in time, she will be playing bigger festival stages and rise to the level of a mainstream artist. That may seem extreme but, when you look at how music is changing and the need for artists pure and honest – can we claim someone like Sharon Lazibyrd will remain (relatively) underground and local? The industry is strongest and most profound when we open up the doors and move away from the ‘cool’ and ‘popular’. 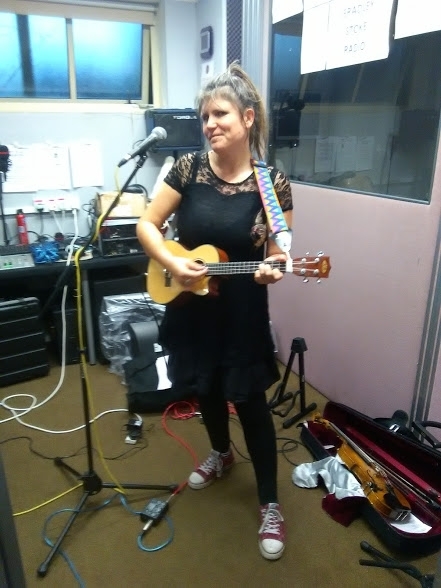 I can imagine Lazibyrd recording (her album’s songs) at Orchard Recording Studios in Somerset and working with some great talent – performing with a range of musicians and bringing all those ingredients together. One of the reasons I feel Sharon Lazibyrd will be a big success/name in years to come is her hard work and determination. I say this of a lot of artists – and can be chided for it! – but feel getting the social media accounts bigger and more visual can add new dynamics and chances. Lazibyrd has her music on Bandcamp and Spotify; she is out there and updating the fans – maybe a few considerations can come in. Photos and images always come to mind and something I am keen to promote. If an artist has a sharp array of images then it lends for a more visually-pleasing article. Lazibyrd has a few great shots – among candid snaps and live photos – but, given where she is based, a great photoshoot in the open would be amazing. Maybe there could be an album-themed shoot that brings together ‘shame’ and ‘glory’. Working with a great photographer; they could work on some ideas that contrasts and connects the album’s title and shows a new side to the songwriter. The image I have used as a thumbnail (the album’s cover) is great but more of these kind of shots/quality images would bring a new aspect to the music. Social media is about selling yourself as much as the music. Sharon Lazibyrd provides great information about herself – a few new galleries, without breaking the band, would attract more journalists and help bring her profile to new people. The music is the master (mistress) when it comes to winning hearts but one must not overlook aspects like social media and visuals. Her fanbase, as I said, is growing but there are new clans and eyes that are, as yet, unaware of her music. Not that photos will get all of that missing estate and bulk: it is a useful step and something that could be considered. Having all the social media/streaming links on her official site/Facebook would make it easier to navigate and, if anything, some ‘behind-the-scenes’ features would add another angle to her music. People are intrigued how the music comes together and where she takes influence from. Every artist needs to look at the complete package and see how they can bring their music to more people. Modern music is about the product and the cosmetic makeup of an artist. The actual songs are most vital but we are looking for those that can provide extra elements and strike when it comes to information and visuals. The reason I being up this (controversial) subject is because there is huge validity and potential regarding Lazibyrd’s music. If she were small-fry and meagre, I would not spend my time looking at new ways to promote herself and gain new opportunities. The festivals are coming up and, when you are a promoter/organiser, you are looking for a number of things regarding possible inclusions. The artist needs to be strong and original but they need to touch all the senses and stay in the mind. One gets that with Sharon Lazibyrd and, when you delve into her music; it stays with you and compels long-term investigation. Her world and look interests me. You have this songwriter whose voice summons big scenes and causes the heart to skip. Projecting that in visual-form would be very interesting to see. I know there will be a lot more music coming from her through the years – it will be great to witness how her profile builds and what direction she takes. Maybe I have argued too strongly regarding social media and its importance: for me, as a writer, I include lots of photos and like to make my pieces as stimulating and attractive as possible. Lazibyrd is someone who attracts the camera and, like her voice, brings the listener close. It is not a big recommendation or consideration but, maybe, as we head through the year the multi-talented artist will supplement what is out here with some more snaps. Let us return to what is vital and most prominent when it comes to Sharon Lazibyrd: that incredible voice and wonderful music! 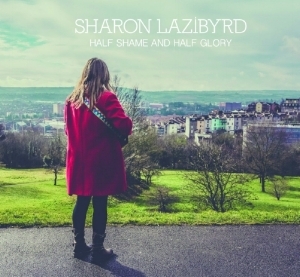 I have discussed Folk and the voice but, when you listen to an album like Half Shame and Half Glory; listen to the notes and the way Lazibyrd projects them. She is someone who wrings the maximum amount of potency and beauty from the subject matter. Here is a person who has been in the industry for a number of years and taking a lot from her live performances. Reacting to the crowd and getting that experience; the artist has gained confidence and experimented with what she does. You can hear all that experience and desire come through with every sentiment and syllable. I am impressed by the way the music gets into the heart and how physical it sounds. You are never left to piece things together and figure things out. Lazibyrd puts the songs right into the foreground and ensures they make an impression. She has, as I mentioned, a range of great musicians featuring on her new album. You combine Sharon Lazibyrd’s voice and those brilliant performers working alongside one another and the effect is quite profound. I had to listen to certain songs, including the title-track, a number of times for everything to settle and register. I am always fascinated by the voice and think it is the most important side of music. You get potency from lyrics and instrumentation but, with a powerful and beautiful voice, you can make an average song sublime. If, like Lazibyrd, you have brilliant songs to begin with, then a sumptuous voice can bring them to rarefied heights! If you have a stirring voice that can move the listener than it is easy to exploit that and lack discipline. Sharon Lazibyrd is someone who keeps a level head and uses her voice economically. That may sound strange but, by that, I mean she blends her tones with the musicians and does not needlessly over-exert and underplay what she sings. It is a perfect balance and sound that compliments the music and ensures each line shines and strikes. Whilst Lazibyrd spends time in various parts of the U.K.; it is Somerset I associate her with. 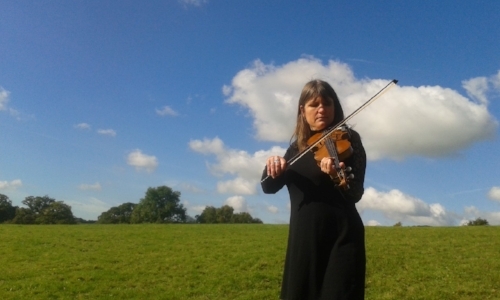 I have not featured many musicians from this part of the world – as it has a particular ‘sound’ and is quieter than many parts – but there is something about the idyllic sights and geography that leads to music that possesses tenderness and soothe. I can imagine, when writing her album, Sharon Lazibyrd was taking from the views around her and compelled by the natural world. Although Half Shame and Half Glory looks at personal emotions and complex sides to the human psyche; every single song has that warmth, intimacy and sense of the beautiful. Maybe it is the performances or Lazibyrd’s voice that makes that happen. To me, the studio itself and the setting around it adds something extra to the music. I listen to songs that have been made in expensive studios in the capital and there is something fabricated and fake. You get a polished piece that is slick and radio-friendly but does not convey any sort of reality. Look at all the best music and there is something inside the notes that stands out. In the case of Sharon Lazibyrd; she seems to bring her surroundings and home into the music. There is this brilliant ecosystem and world of sound that mixes the natural world with the technical; the range of emotions we all feel but something deeply personal and unique. It is a stunning brew that cannot escape the memory. You listen to the work of the experienced songwriter and are included. Rather than take a passive approach to the music; one gets engaging and reacting to what is being sung. There are plenty of city-based artists who can do this but one of the reasons I feel Sharon Lazibyrd draws the listener in is down to the where she is based and how she sees the world. Instruments and notes on Half Shame and Half Glory bring you close to the land or take you high into the sky. There is that contrast and range of extremes that elevates the senses and causes something quite wonderful. I do not have time to review the whole album but, as the title-track shows – and I will show in my review – there is so much to love and recommend. I will end this piece by looking at the remainder of the year and where Lazibyrd might head. Before then, it seems the songwriter is going to have a busy time of things. With a new album out in the ether; will see head on tour or promote the songs as much as possible? I feel there will be that need to get to the local people and start from there. She plays a lot around the South West but draws acclaimed sighs from all over the U.K. I mentioned how Sharon Lazibyrd has been lauded by BBC Radio 6 Music – she has also played at their festival a few years ago. I predict, this year, there will be new opportunities and festivals to play. The music of Lazibyrd sounds brilliant through the speakers and captures something strange and wonderful. I feel her sounds are strongest when you see them close and in the flesh. It is interesting to imagine how her songs translate on the stage and whether they employ all the musicians on her album. I have not seen her play but so many reviewers have expounded the virtues of her live set and how great she comes across on stage. Let us move on and get to the song in question: the brilliant title offering from the L.P., Half Shame and Half Glory. I hope the ‘adverts’ and ‘features’ – leading to the main picture and featured presentation – have provided information and revelation regarding Sharon Lazibyrd’s music and what she is all about. The heroine casts herself as a bird-like figure in the opening of Half Shame and Half Glory. Maybe the title-track is the most personal and representative song on the album. By that, I mean it is a track that brings together all the album’s themes and is the perfect definition of what Sharon Lazibyrd is all about. One gets the impression of a rather reserved and scared figure in the corner wondering whether she should approach. She asks questions as to whether approach (or remain in the shadows). It is that classic case of half-shame and half-glory: feeling critical of herself and foolish but willing to stride forward and stride forward. The words put me in two minds as to the subject matter. One can interpret the song as being about success and taking what you can from life. If you remain quiet and timid then you might be overlooked: if you are too bold and cocky then people might be put off. Perhaps that half-and-half approach is the best way to do things?! Maybe there is an aspect of love and taking passion?! If you are reluctant to speak and make a grab then you will be overlooked. If you take the opposite attitude then that can be off-putting. I am just speculating because, right from the off, you are engrossed in the performance and the amazing vocals! There is “Half sweat and half rapture” from the heroine – suggesting love and success might be entwined and one of the same – and she wonders where her story will lead. The wordplay is clever and deft; there is a poetic quality and ambiguity that makes the brain conspire and draw its own viewpoints. Instrumentation is fairly minimal and this allows the full power of the vocal to come through and impact. One gets shades of classic Folk songwriters and some of the most potent voices ever. You hear Sharon Lazibyrd sing and you are transported back to the 1960s and 1970s. She has a very modern aesthetic but you cannot help but look at nostalgic elements and find familiarity. That is a wonderful thing to experience and one that keeps the listener involved and gripped. There are half-tears and smiles that show different sides to the heroine. She wonders whether a sensitive side should be shown. Maybe being bolder and more overt is the way to go? You get the sense, the more the song goes on, we are looking at a personal conversation and dilemma. Whether (the song) is about love and unsure how to act around someone, or a confusion as to how the world needs to see her, these contrasts and contradictions make the song so vivid. That is a clever device: one line about glory and one about shame; a human caught between the waves and the shore, as it were. Sharon Lazibyrd is a superb writer who can pen songs that have agility, economy and, at the same time, immense passion, depth and intelligence. That is a skill many songwriters lack – every song the heroine produces stuns the senses and gets under the skin. Strings start to come in before the half-way mark and adds bristle and evocativeness to the piece. The heroine continues to question and wonder what is expected of her. Introducing other players to the song keeps the listener guessing and takes you by surprise. The flowing, twisting strings summon visions of the ocean, oddly. You get romance and moonlight but there are Celtic shades that come through. A passionate and intoxicating sound gives the song new light and summons up new images. Half Shame and Half Glory is this endlessly questions and conflicted song where, maybe, there are no clear answers. Sharon Lazibyrd is unsure how she should act and who she should be. Our girl asks whether (the hero) wants a second look – he can read her like a book, it seems. It is easy to see why so many people have fallen in love with Lazibyrd’s music and why it remains in the mind for so long! The song grows more powerful and impassioned as time elapses. The strings get heavier and hotter and it seems like the waves are crashing. Growing from an intimate and subtle start to a near-crescendo to end; we have moved through the stories and witnessed a definite and defined passage of time. A marvellous song from Sharon Lazibyrd and perfect representation as regards Half Shame and Half Glory’s sounds and definitions.